So the candy’s been collected and is now on the top of my fridge. The costumes have been relegated to the dress-up trunk and the kids are at school, hopefully learning something after staying up too late last night. And I’m taking a breathing moment. I am so very grateful for everyone who entered my Halloween drawing. It was a wonderful experience getting messages from Greece, Australia and all over the U.S. I mean, how much cooler than to be able to say I had international visitors on my blog. I hope some of you will come back, maybe even take a leap of faith and read my books. And don’t forget that in December I have a lot of surprises planned, including another (and even better) giveaway! And yet, when I pulled the name out of the hat, I couldn’t have been happier at the name of the person on it. Of all the people who have supported my writing career, this lady has been one of the most faithful. She not only subscribes to my blog, she actually reads it, and she’s even mentioned me on her own blog once or twice. She even reads my books. Heck, her DAD even read one of my books! 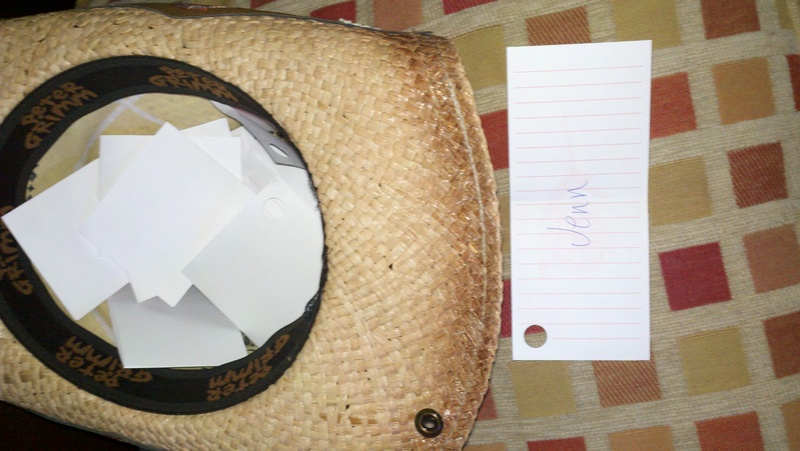 And so, drumroll please…Jennifer Reno, you are the winner of my Romance Girls Gone Goblin Halloween Giveaway! Congratulations, my friend! This entry was posted in Breathing moment, Romance Girls Gone Goblin by michellegflye. Bookmark the permalink. Only one error I spotted. J.R.’s Dad has read both your books. Woo hoo!! I won! I won! Thanks Michelle 🙂 And who knew my dad liked romances?? 🙂 I think you’ve hooked him!